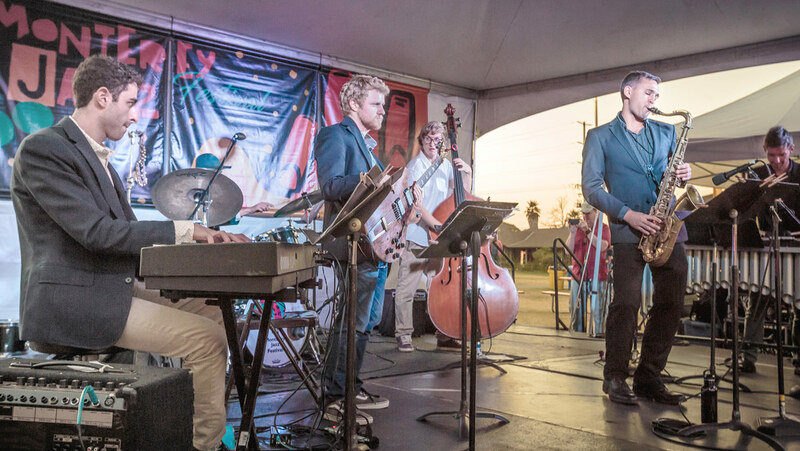 The USC Thornton Jazz Composers’ Collective performed at the 60th annual Monterey Jazz Festival on Sunday, Sept. 17. What’s possibly more impressive than their two slots on the main stages of the storied festival is that the musicians earned the opportunity with original music. 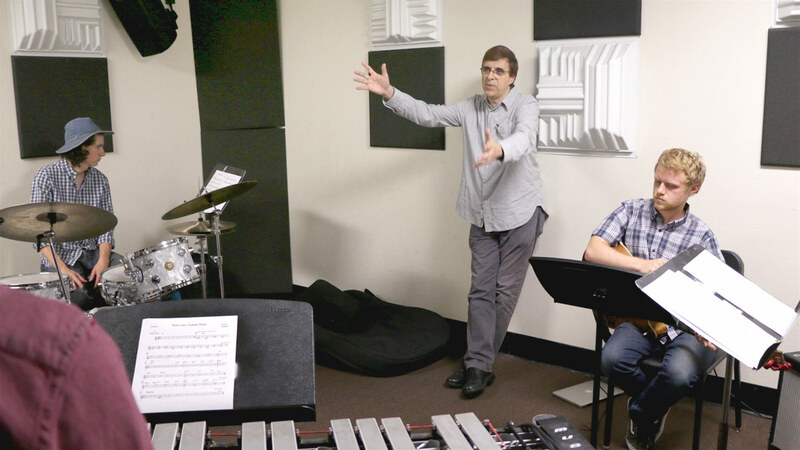 “It’s certainly a feather in the cap of the USC Thornton Contemporary Music Division to send great students up there to show people what we’re doing at Thornton and how we’re concentrating on making new music and creating a community that supports each other,” said Vince Mendoza, a celebrated jazz composer and professor of Jazz Studies who leads the ensemble. Part of a focus on composition in the Jazz Studies program, the ensemble emphasizes original work and rehearsals are round-robin affairs with each student writing their own charts and constructively criticizing one another under the watchful eyes of Mendoza. The camaraderie is lasting, so much so that half of the musicians are recent alumni who returned to play the festival. The group won first place in the College Combo Division of the Monterey Next-Gen Festival last April, leading to their performances last weekend. In addition to Reihs and Scherrer, alumni pianist Max Naseck ’17 and drummer Zev Shearn-Nanc ’17 joined undergraduate bassist Logan Kane and vibraphonist Chase Jackson, a Master’s student in Jazz Studies. The landscape of jazz is changing, Mendoza said, and focusing on new music and collaborating on original work helps place students in the history of the music while offering a way forward. “This group is a great example of six musicians who work together, become great friends, contribute to each other’s music and have a great understanding of what they’re doing. That’s a small, little piece of what they’ll experience in real life as jazz musicians,” said Mendoza. Road tripping up north to play the Monterey Jazz Festival with friends is not a bad way to spend a weekend. “It’s a huge honor to be playing there,” said Scherrer.